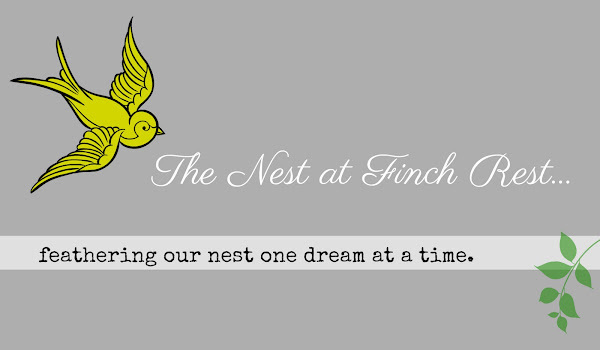 The Nest at Finch Rest: First Visit With St. Nick! First Visit With St. Nick! Wow - Christmas is nearly here! 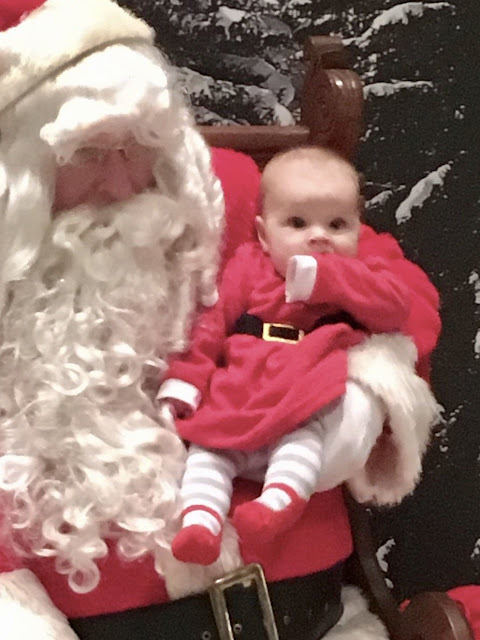 how cute the baby looked when she went to visit Santa! 'cuz that wee skirt is so cute I am hardly able to contain my squeals. Yes, my friends, I have lost my little grandma mind, I tell ya! And this is the look she's giving ME 'cuz I took this shot! I am not entirely sure which one of us is the happier. 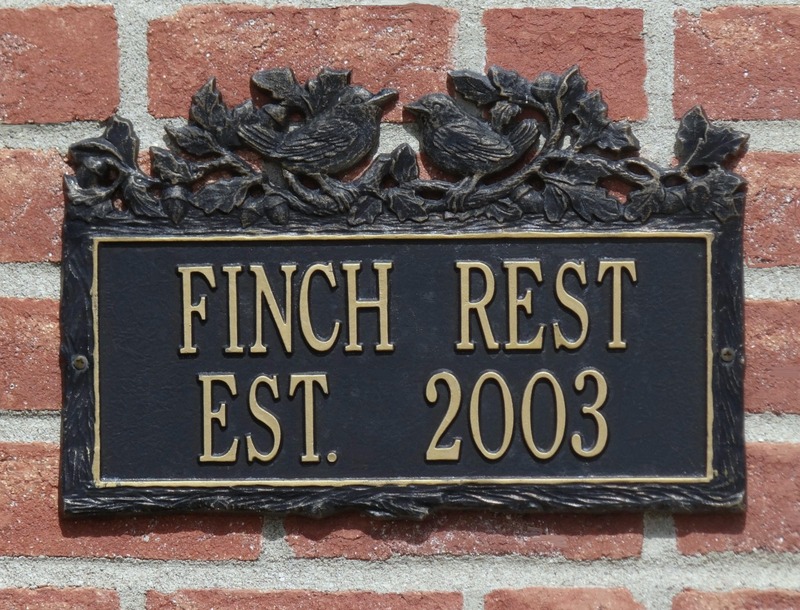 because it was a very special occasion! while he made an appearance at our church. I cannot even believe she's five months old already! Sooo adorable!!! :) Merry Christmas, Michele! Michele that is one sweet sugarplum! Wishing you all the love, joy and peace of season as well as a very Happy New Year! She's a doll baby for sure! Merry Christmas to the Ruffled Grandmaw of the Year! She is so cute, Michele! They do grow up so fast, and this is her first Christmas! What a joy! Too cute! 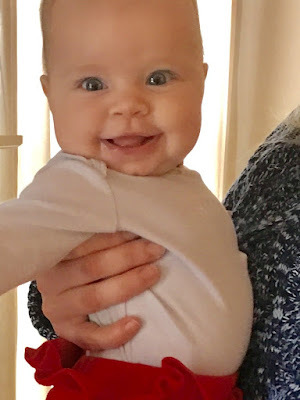 Have fun celebrating your first Christmas with your adorable granddaughter! Oh my goodness! She couldn't be cuter! Love her little outfit and what an adorable picure with Santa! She's getting so big too fast! What a cutie she is. I really just can't imagine losing your mind over this sweet girl. HAHAHA!! Just wait it keeps getting worse. Even with the great grands. Of course you've lost your sweet mind of that precious baby girl! She is too cute for words! Oh what a cutie! How blessed you are to have her in your life, and how lucky for her to have you for a grandma! Merry Christmas! Your granddaughter is absolutely adorable, and you have every right for wanting to show her off! Merry Christmas! 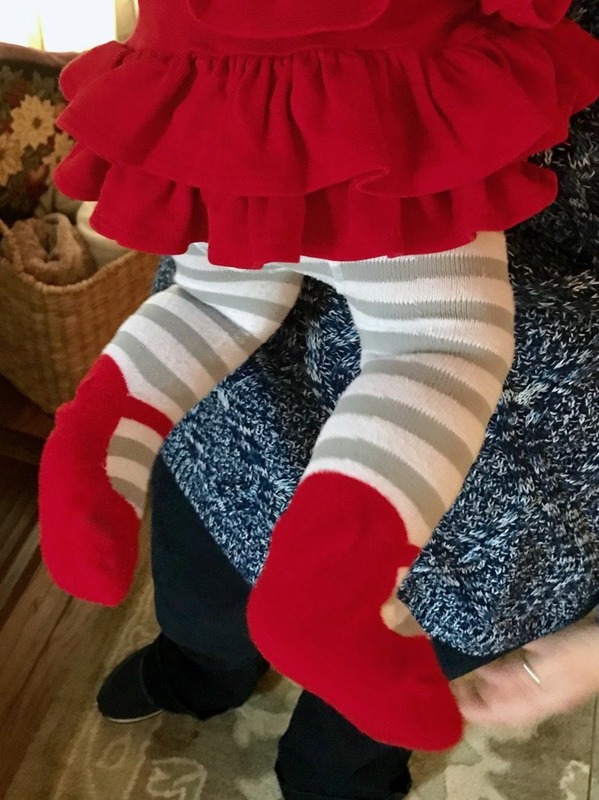 Cute, Cute leggings--and baby! She's getting fun now and responsive, right? Enjoy every moment. Merry Christmas. best gift God could give. She is adorable! What personality is shining through. Obviously, she likes you a lot! The Gift of Christmas Baking!